In a deal aimed squarely at the evolution of Internet video infrastructure, Novato based Sonic Solutions (NASDAQ: SNIC) said Wednesday that is has signed a definitive agreement to acquire video compression specialist, DivX (NASDAQ: DIVX) for $323m in cash and stock. Subject to shareholder and regulatory approval, the deal is expected to close in September. If approved, it will provide DivX shareholders with $3.75 in cash and .514 shares of Sonic stock for each share of DivX stock they hold. DivX is best known for its codecs, digital video formats that enable the algorithmic compression (coding and decoding) of video and audio streams into smaller digital files. Using DivX compression, a standard definition movie can be reduced to a file of about 1gb or less – easily small enough to be stored on a mobile device. Though not widely known by name, DivX has a wide reach. More than just a software developer, since inception, Divx’ technology has been embedded into more than 300m consumer electronics devices including televisions, DVD/Blu-Ray players and mobile handsets. More than 150 consumer electronics manufacturers have deployed the technology to date. In February, Sonic and DivX had separately announced a partnership to deliver video to mobile phones. The acquisition seems an extension of that prior relationship. 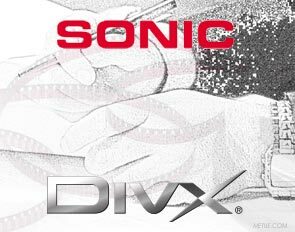 Sonic seems to believe the DivX technology will give it a more extensive tool box for managing the compression, encryption and delivery of video content across internet connected portable devices. Sonic expects the deal to be accretive for its shareholders, potentially doubling fiscal 2012 earnings per share (non-GAAP). For a comparison of some available Codecs, see here. Will Internet Evolution Hurt Big Media?